Holi 2018: Colours of all hues, the smell of gulal and joyous spirit pervaded streets as people in the twin states and their common capital Chandigarh celebrated Holi. Chandigarh: Holi, the festival of colours, was today celebrated across Punjab and Haryana with traditional fanfare and gaiety. 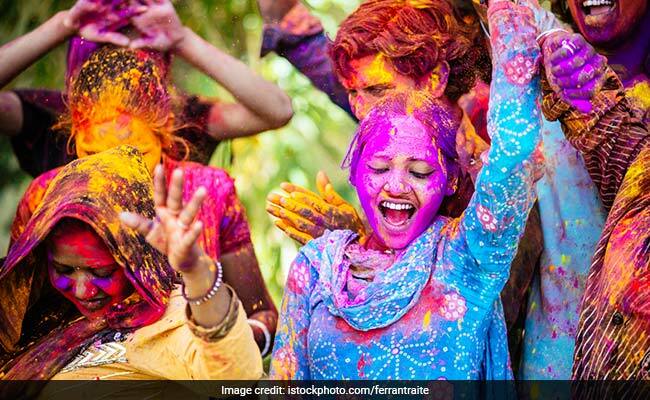 Colours of all hues, the smell of gulal and joyous spirit pervaded streets as people in the twin states and their common capital Chandigarh celebrated Holi. People exchanged greetings, visited friends and relatives, savoured the festive sweet gujia, and smeared gulal on each other's face. "Holi Hai!" rent the air as groups of revellers zoomed their motorbikes on streets and danced to popular Bollywood songs. Children played Holi from their rooftops and splashed colour on people passing down the streets. Police personnel were deployed across the two states and Chandigarh to keep a watch on anti-social elements.